Help us give books to kids! WE want ALL kids in Mendocino County to have books! In 1995, Dolly Parton launched an exciting new effort, Dolly Parton's Imagination Library, to benefit the children of her home county in East Tennessee, USA. Dolly's vision was to foster a love of reading among her county's preschool children and their families by providing them with the gift of a specially selected book each month. By mailing high quality, age-appropriate books directly to their homes, she wanted children to be excited about books and to feel the magic that books can create. Moreover, she could ensure that every child would have books, regardless of their family's income. Dolly's Imagination Library became so popular that in the year 2000 she announced that she would make the program available for replication to any community that was willing to partner with her to support it locally. Since the initial program launch in the United States, Dolly Parton's Imagination Library has gone from just a few dozen books to over 80,000,000 books mailed to children in the United States, into Canada and across the proverbial pond into the United Kingdom! Currently over 1600 local communities provide the Imagination Library to over 1,000,000 children each and every month. Already statistics and independent reports have shown Dolly Parton's Imagination Library drastically improves early childhood literacy for children enrolled in the program. Further studies have shown improved scores during early literacy testing. There is simply no limit on how far we can take this program and to what ends of the earth, but it is an absolute impossibility without your help. 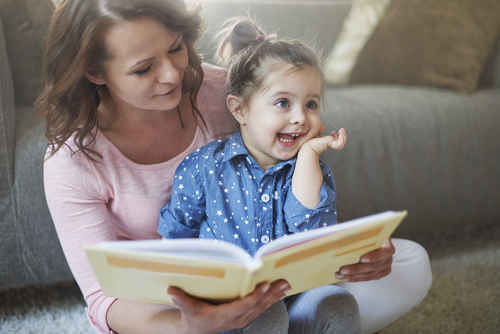 If your community or a community that you are aware of doesn't yet offer this proven early childhood literacy program, then we challenge you to Get Involved! It's actually quite easy to bring the Imagination Library to life in your community and we have an onslaught of available resources to help you Start A Program including a personal trainer which we like to call "Regional Director"! So come on, you can do it, follow this link to get a simple checklist of what you need to do to Get Onboard Dolly Parton's Imagination Library.